Whether you’re moving into a new house or want to brighten up your current living space, painting your home is an easy and affordable way to create a major impact. Before you start mixing up paint colours at the store, here are some tips from an interior designer to help you choose wisely and prevent expensive do-overs. Let your personal taste guide you. 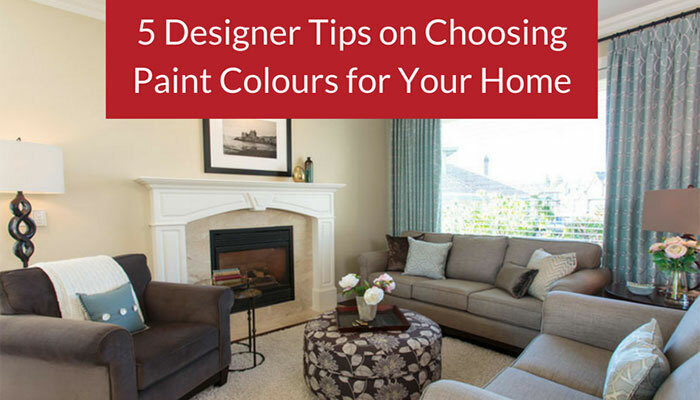 This seems like a no-brainer, but you’d be surprised how many people choose paint colours for rooms based on what’s hot this season, or what they’ve seen on a home design show. Don’t let trends or friends lead you to colours that aren’t you. Let your personality shine through in your paint colours and you’ll be happy looking at them for years to come. For example, the client’s love of the outdoors and the birds that visit their expansive garden were the inspiration for this home design project I did. The walls throughout the main living area were painted a soft mauve/grey, creating the perfect backdrop for the deep blue accents used in the formal living room and shots of colours found in the garden. The bases of the colour wheel are three primary colors: red, blue and yellow. The three secondary colours are combined of these and make orange, green, and purple. The six tertiary colours are mixes of the secondary colours, resulting in colours such as blue-green and red-orange. Here’s where it gets creative. You can use the colour wheel to help you choose paint colours for rooms. Pick complementary colours on the colour wheel (directly opposite each other) for a striking, modern look. Or, consider analogous colour schemes (next to each other on the color wheel) in rooms where you want to create a relaxing, casual feel. Match paint colours to the mood of the room. Different rooms in your home have different moods. How do you feel when you’re in the bedroom, living room or kitchen? Maybe you like to host lively dinner parties in your dining room, so opting for warm and bright paint colours is ideal for your evenings with friends. If you think of your bedroom as an oasis after a long day, soft and cool colours will be soothing. Keep in mind certain colours can also bring out different moods. Blue can be calming, but pastel blue can come across as icy. Red is exciting, but may be too intense for certain areas. White gives off a feeling of cleanliness, but might be too sterile-looking for some people. It’s important to consider the lighting of the room when choosing paint colours for your home. How much natural or artificial light does that particular room get? 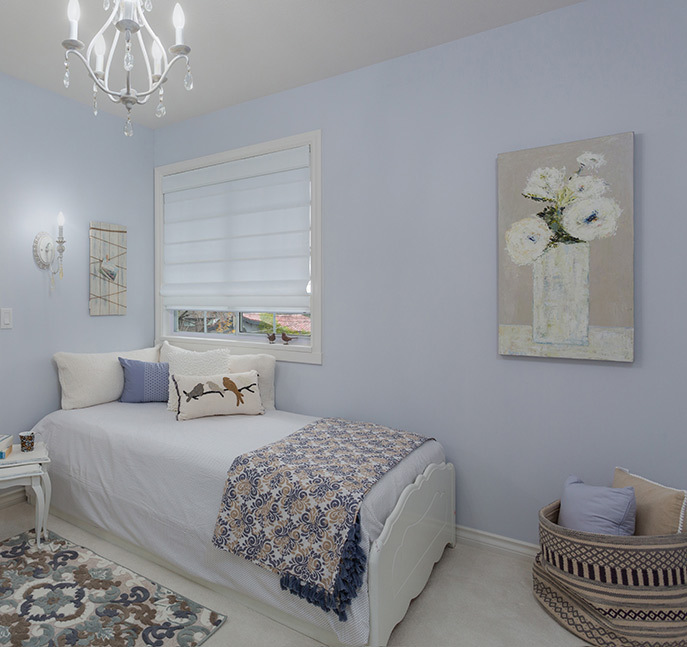 Light fixtures, candlelight and natural light can drastically change the way your paint colours look. The room direction also makes a big difference. If your bedroom faces south, it will get more light throughout the day, which intensifies colours. An east-facing kitchen will get the most light in the morning, so warmer colours might be ideal if you spend lots of time in this room in the evening. Colour is the most effective way to brighten up you home and create a harmonious flow. However, with so much information and advice out there, choosing paint colours for your home can seem overwhelming. Why not start with a Colour Consultation with me? Choosing the perfect paint colours for rooms is easy when you have an experienced design guide to help you along the way. No matter what paint colours you choose, enjoy bringing your home to life in this easy and affordable way!